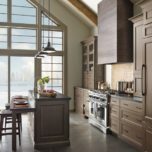 Regardless of where you go or who you hire, kitchen remodeling is an expensive proposition. 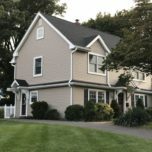 When it comes to one of the single most used rooms in your home, you do not want to skimp on quality or craftsmanship. 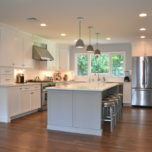 You also cannot afford to break the bank with your New Jersey Kitchen remodeling project. Instead of giving up on the idea entirely, or going for broke, there are a few ways to remodel your kitchen on a budget. 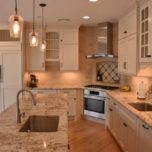 Replace Your Countertops: The simple, and relatively inexpensive (depending on the material you choose), act of replacing your old countertops with new ones will add a drastic change to your kitchen. 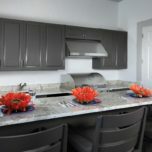 Paint Your Cabinets: Most cabinets do not come painted (some dislike the look). Painting them yourself can add a pop of color and an additional interesting element to the overall design. 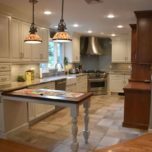 Add a Tile Backsplash: Tile backsplashes can add a whole new color and depth to your kitchen and give you an entirely different impression as you enter. 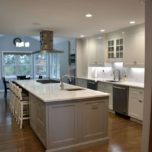 Replace Your Cabinet Hardware: The incredibly simple move of replacing the hardware on your kitchen cabinets can revolutionize your kitchen and add a burst of newness to an otherwise old room. Minor Kitchen Remodel: Although this one is still a size-able investment it comes at a much lower price point than a major kitchen remodel. What’s the big difference? Only remove what is absolutely necessary to make way for the new components, limit the rough mechanical work that needs to be done and decrease the overall time it takes to complete the project. This all translates to big savings for you without sacrificing the overall integrity of the project. 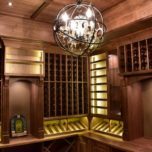 Semi Custom Cabinets: The single largest line item in a kitchen remodeling proposal belongs to noe other that than the star of the show, you guess it, the kitchen cabinets. No need to break the bank and go all out on full custom cabinets. Semi custom cabinets now offer many features that rival the offerings of their full custom counterparts. 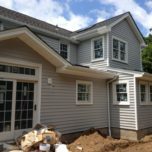 With all of these ideas, and any others you come up with on your own, be sure to hire a Bergen County contractor to oversee it all.